Sometimes I shoot live events. In my case that is mostly corporate conference meetings. In these cases, sometimes a wireless lavalier is the best option but in others, we don’t have time to get the lavalier microphone in place and a handheld wireless mic is a better option. RODE has just introduced their new RODELink wireless handheld microphone kit which fits this niche for me quite nicely. In this overview I cover my initial impressions as well as the features of the kit. In short: RODE has added an affordable, high quality option to their RODELink wireless system! Thanks to RODE for providing the Performer kit for this review. They have not paid me beyond providing the mic and all of the opinions shared here are my own. The RODELink Performer kit is slated to start shipping in mid October 2017. 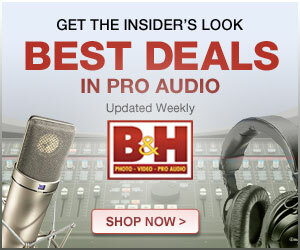 Newer PostSound Devices: Should I Get the MixPre-10T, 633, 664, or 688?